The weather is finally warming up, the sun is out, and Memorial Day weekend finally here. It’s the unofficial start of summer, and people are planning their warm-weather getaways. The summer staycation is an ideal retreat for many of us who can’t afford to or have no time to travel. And as long as you can find a pool, lake or an ocean, that’s really all you need, right? 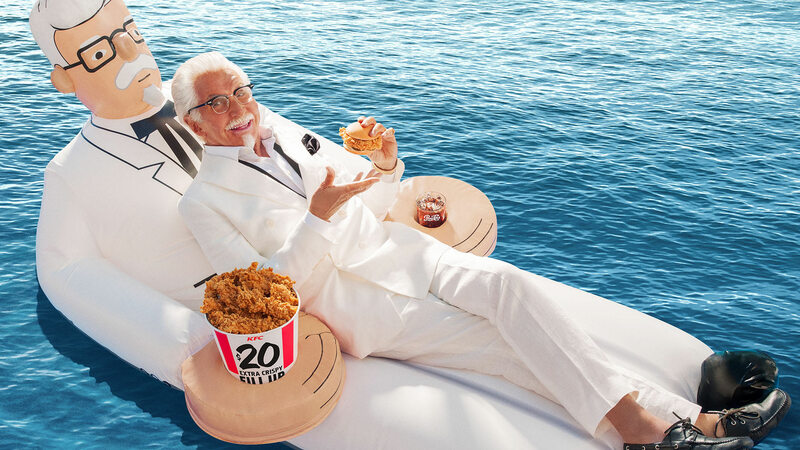 Well, KFC is celebrating summer staycations and pool fun by giving consumers a chance to win a limited-edition pool floatie inspired by Colonel Sanders himself. Yes, really. Sadly, it isn’t actually for sale, so you have to enter for a chance to win one of these truly unique floaties. It doesn’t matter if you are at a resort in Cancun or at a local beach, you will get tons of attention if you float by with the colonel, we have no doubt. It’s also pretty decked out: It has two cup holders: one for a beverage and one for a bucket of chicken. I mean, if you’ve got chicken and a cold beverage, what else could you possibly need? To enter for a chance to win this one-of-a-kind pool accessory, all you have to do is visit the KFC floatie website and submit your email.